In the contested and controversial historical issue known as "the Armenian Question," the 1909 communal upheaval in Adana stands between the breakdown of order in the eastern Anatolian provinces in the 1890s and the catastrophe that overwhelmed the civilian population of the Ottoman Empire during World War I. Those affected were Muslims as well as Christians, although it is almost entirely the suffering of the latter that has captured the attention of the "western" cultural mainstream. The Adana "events" have been the subject of numerous works. The titles that quickly come to mind are Raymond Kevorkian's studies in French and English; Kemal Çiçek's collection of essays, Adana 1909 Olaylareli: Makaleler (Ankara Events of 1909: Articles); and Tetsuya Sahara's short but meticulously researched monograph, What Happened in Adana in 1909? In the region known to the Turks as Çukurova and in Europe as Cilicia, the Armenians were a small minority (about 50,000 to 400,000 Muslims in the Adana province, according to Ottoman census figures, if not the inflated estimates of the Armenian patriarchate) and therefore at a severe numerical disadvantage in the event of conflict with the Muslim majority. The collapse of communal order occurred at the same time as the attempted overthrow on April 13 of the recently restored constitutional order in Istanbul. 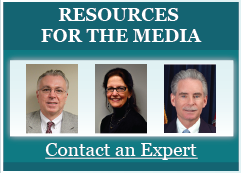 Army intervention soon put an end to this reactionary attempt to restore the status quo ante. Some observers found it hard to believe the Adana "events" were not somehow connected with the counterrevolution (or countercoup, as some would say) in Istanbul and the machinations of the sultan. The "coincidence" seemed too much of a coincidence to be accepted as one. Indeed, while there seems little doubt that elements in Adana sought to exploit the turmoil in Istanbul, there is no evidence of orchestration, either by Sultan Abdülhamit or the Committee of Union and Progress — the Young Turks — as sometimes claimed. Güçlü's research points in the direction of a synthesis involving a range of actors. On the Armenian side, they included political committees out to establish an Armenian state despite apparent identification with the ideals of the Young Turks. The priest who travelled across the region whipping up discord and young Armenians taking up arms in pursuit of the national ideal were part of this mix. In the background, taking advantage of their new constitutional freedoms, Armenians had been acting provocatively, boasting of their intentions to turn Cilicia into an Armenian kingdom, and even staging provocative plays featuring the return of long-departed Cilician kings. On the Turkish side, the mix included sympathizers of the counterrevolution (formed into the Muhammadan League), a degree of inflammatory press comment and the incompetence of a governor who failed to act in time to stop the violence from spreading. The killing of a young Muslim by an Armenian was, finally, the spark tossed into this kindling. Once the fire had been lit, the frenzy of the mob knew no bounds. The conflagration spread across Adana and beyond, with thousands murdered and entire streets of houses and churches burnt to the ground. Güçlü begins his study by looking at history and the geographical setting. The Çukurova plain was extremely fertile. Wheat and cotton were major crops, with 90,000-100,00 bales of cotton and millions of bushels of wheat and flaxseed exported every year (p. 47). Harvest time attracted thousands of seasonal workers. Wool exports from Adana were enough to supply France for a year (p. 47). This was the case even when large parts of the plain remained uncultivated, so the economic potential of the whole region was clearly tremendous, especially when coupled with access to the sea through the port cities of Mersin and Iskanderun. The Armenian communities long since settled in Adana were somewhat different from the Armenian population further north. They spoke Turkish as their first language and wrote in it, but with their own alphabet. Like Armenians elsewhere, their social development had been affected by the presence of American Protestant missionaries, who had been opening schools and other institutions across eastern Anatolia since early in the nineteenth century and were receiving a trickle of converts from the Gregorian Armenian community. As a result, Güçlü notes, these Protestant Armenians were on average better educated than the Gregorians, developing into "a force for intellectual and technical progress for the population of Adana as a whole and for Adana Armenians in particular" (p. 74). A further difference was that while Armenians in northeast Anatolia were primarily agricultural, most Adana Armenians lived in cities or towns. Moving on to the actual causes of the "disorders" in 1909, Güclü begins by studying the restoration of the constitution in 1908 and the positive effect this had on all Ottomans, irrespective of religious or ethnic background. The "Hamidean absolutism" had finally ended, and a new chapter of equality, constitutional government and equal rights for all was opening up, or so it seemed. While the Young Turks and the Armenian national committees appeared to be enjoying good relations, Güclü writes that the "honeymoon" was short-lived. The committees, far from being committed to one Ottoman state with equal rights and responsibilities before the law for all citizens, were actually intent "on seceding from the empire" (p. 127) and creating an independent Armenian state. In Adana, as elsewhere, there were crosscurrents of feelings among Armenians: enthusiasm for the new political order ran up against the aspirations of revolutionary nationalists. Nothing could be more threatening to the Armenian political committees than acceptance by Armenians of the Ottoman identity espoused by the Young Turks rather than a national Armenian identity. The committees wanted a separate Armenian state, not integration into an Ottoman state. In Adana, one of the chief nationalist agitators was a priest, Musheg Seropian, a member of the Reformed Hunchaks, often described as a firebrand for the way in which he attempted to stir up Armenians across the province, encouraging them to take up arms and refuse to pay taxes (p. 137). Arms were pouring into the region. From July 1908 to April 1909, more than 12,000 weapons were officially imported into Adana through the ports of Mersin and Iskanderun, with thousands more, in the author's estimate (pp. 138-39), smuggled in from Cyprus, Beirut and Aleppo. Arriving in Adana in October 1908, Cevad Bey, the governor, was soon drawing the Interior Ministry's attention to the disturbed state of the province. By early 1909, Adana stood on the brink of an explosion. Musheg Seropian was inciting rebellion, and young Armenians calling themselves fedayin (sacrificers) were drilling and firing weapons even in the presence of Muslims. Rumors were spreading among Muslims of an impending Armenian assault. There are strong parallels here with how communal order broke down across eastern Anatolia in the 1890s. On April 13, a mass meeting of Muslims was being held near the governor's mansion when an Armenian ventured incautiously onto the scene and was clubbed to death by the mob. After the killing of a young Muslim by Armenians, order in the city collapsed completely, the chaos quickly spreading across the province and beyond. With the Armenian quarter in Adana being attacked by the mob on April 14, the Armenian fedayin opened fire from vantage points behind windows and barricades, killing scores of Muslims. Armenian businesses were looted, but the residential quarter was saved from attack for the time being. The clashes in the city lasted for two days (April 14-16), but by this time violence had spread to Tarsus, half an hour away. Energetic action by troops saved Mersin, but elsewhere, a wave of violence in the coming days washed around the entire corner of the eastern Mediterranean. Thousands of Armenians were moved by steamer and a French warship to safety in Latakia after mob attacks on the northern town of Kessab (Kassab) and surrounding villages. On April 25, a measure of peace having been restored, violence broke out again in Adana. Güclü pins the blame on local Hunchaks, who, "hoping to bring about foreign intervention," attacked and killed 15 newly arrived Ottoman troops, triggering murderous attacks on Armenians and arson attacks in which "half Adana was burned" (p. 191). Built mostly of wood, shops and homes collapsed on top of their occupants. A subsequent inquiry found that 1,072 buildings had been destroyed, including 680 homes, 369 shops, two hotels, five inns, three presses, 52 schools, five churches and three mosques (p. 191). By this time, the upheaval in Adana had caused international outrage, and foreign warships — French, British, German, Russian, Austrian, Italian and American — were arriving off the coast. They offered only "humanitarian assistance," but their presence alone represented dangers to the Ottoman government, arising from the fear that the landing of foreign troops would worsen the situation. In his chapter on "Responsibility for the Outrages" (pp. 211-40), Güclü appraises the opinions of various observers, Armenian, Turkish, European and American. The consensus includes the incitement of Musheg Seropian, the indiscreet behavior of many Armenians, the scheming of the Armenian political committees, and the incompetence of the Ottoman governor, all creating a volatile atmosphere of mutual suspicion and distrust between Muslims and Christians. In his diplomatic report for 1910, the British ambassador, Sir Gerald Lowther, a strong critic of the Young Turks as well as what was often called the "palace camarilla," wrote that no evidence had been produced incriminating the sultan, "though there could be no doubt that a number of hodjas and reactionaries had done all they could to fan the flames of Muslim fanaticism" (p.228), to which it might be added that Armenian agitators had worked on the Armenian community in the same way. Estimates of the number of deaths vary wildly, from the official Ottoman government figure of 5,400 (p. 263) to Armenian estimates of 20,000 or more. Güçlü's own tally is 15,000-20,000 casualties (p. 264), the bulk of which were Armenian. The economic damage was severe; agricultural and commercial life were severely disrupted. In the aftermath, as the government finally restored order, 55 Turks and Armenians were sentenced to death, with 47 of the sentences being carried out. (p. 265). Cevad Bey, the governor, was prevented from holding any official position for six to seven years, punished not for bad intentions, as he had tried to warn the government of what was coming, but for his incapacity when the storm finally broke. The editor of the local Turkish newspaper, Itidal, was sent into exile and his newspaper closed down. Güçlü does not mention the fate of Musheg Seropian, whom the next governor, Cemal Paşa, said in his memoirs that he would have hanged, alongside the imam of Bahçe, had he not long since taken flight. 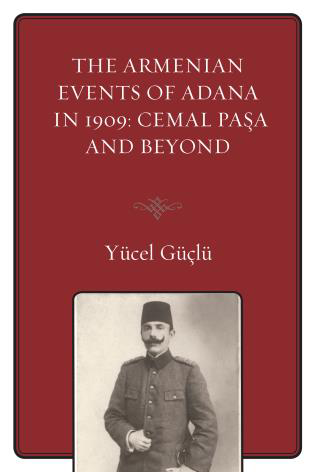 Yücel Güçlü has written the most comprehensive account of the Adana events yet published, having burrowed into Ottoman, Turkish, French, British and U.S. archives, supplementing the documents with an extensive range of other primary and secondary source material. He has clearly done his best to present the widest range of views possible, from which the reader will quickly understand that what happened in Adana in 1909 does not lend itself to the one-sided accusatory "explanations" that have been frequently dished up for propaganda purposes in the telling of this tragedy. This fine study is a major contribution to the late history of the Ottoman empire, marred, in this reviewer's opinion, only by occasional textual infelicities that somehow escaped the proofreader at the press.